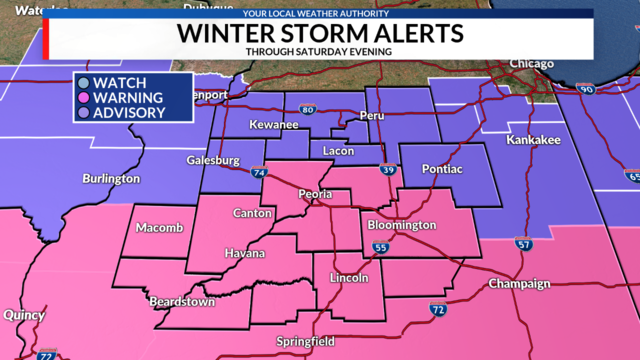 The National Weather Service has issued Winter Weather Advisories and Winter Storm Warnings or all of Central Illinois. Periods of moderate to heavy snow are expected to impact the region with the heaviest snow falling along and south of I-74. The last time measurable snow fell in Peoria was December 3rd, 2018 when the River City received just 0.4" of snow. 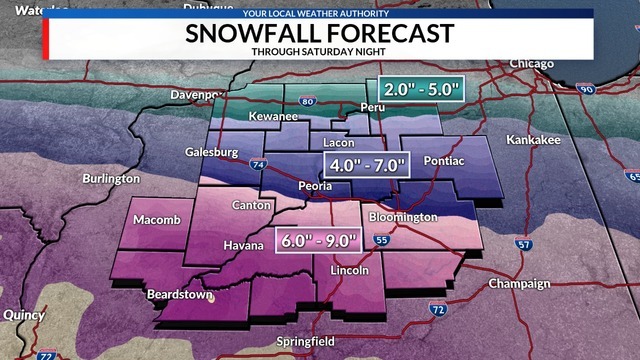 You have to go back to November 25th - 26th, the "Blizzard of 2018", to find the last time Peoria received at least 1 inch of snow. 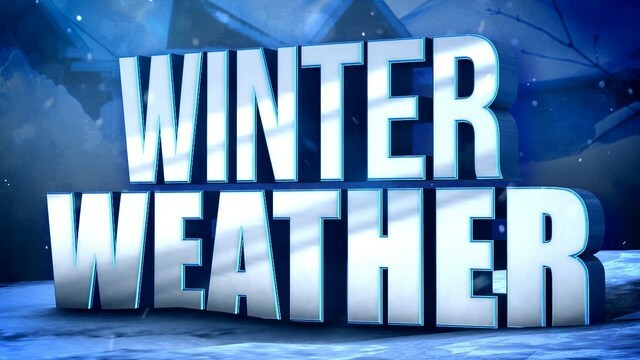 After more than a month, snow is returning to Central Illinois. Central Illinois Snowfall Forecast through Saturday night.